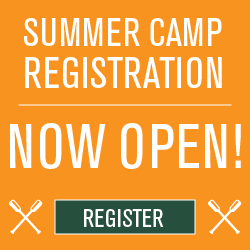 The Joe Bordelon Camper Scholarship Fund provides others with the opportunity to attend Hardtner camps and programs. Joe Bordelon, lovingly referred to as “Fr. Joe”, has become one of our most beloved alumni, serving as director of Camp from 1981 to 1997 with his wife Grace, and dedicating countless hours to Camp’s ministry since then. His own children and grandchildren have continued in his legacy of service, and the entire Bordelon family is often seen as the quintessential “Camp Family”. Fr. Joe has often said that “money should never be the reason a camper does not come to camp.” For that reason, this scholarship fund is named in his honor and intended to promote the camp experience for many more generations to come. Through donated tax-deductible support, donors like you, whether you’re an individual, business or foundation, provide camp and retreat experiences for qualifying youth, adults and school groups that otherwise could not afford to participate in such programming. In essence, the Joe Bordelon Scholarship Fund is a financial assistance fund that allows you to help us address the growing spiritual, personal and educational needs within our collective communities. Give someone else the gift of Camp Hardtner.